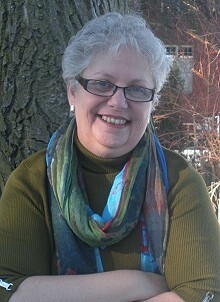 Karen Dionne writes thrillers in the short and novel form. Karen has been honored by the Michigan Humanities Council as a Humanities Scholar for her body of work as an author, writer, and as co-founder of Backspace. It's always thrilling to meet fans in person and to hear what they did and didn't like about my books. For instance, fans seem to have a near-universal "How could you do that?" reaction to the death of one of my characters in one of my novels (I won't get too specific so there are no spoilers!). Even though it seems as though everyone wanted this character to live, in my mind, the character was (and still is) too damaged to go on. I'm always conscious that I'm writing for fans, especially with my newest novel, an original story based on the television series The Killing because this novel more than any other is for fans of the show, but the needs of the story always have to come first. I once met a fan who'd given my novel Freezing Point a three-star review on Amazon. Naturally, authors would rather see their books get four- and five-star reviews, but this three-star review was so articulate and perceptive and thoughtful, I really enjoyed being able to thank the reader in person for the care and attention he gave his review. I love everything by Douglas Preston and Lincoln Child, and of course since I write science thrillers, Michael Crichton was a strong influence on my work as well. It would have to be someone who's been places and done things; a good storyteller and a great conversationalist. I can't abide meaningless chit-chat and small talk. Someone who thinks meaningless chit-chat and small talk pass for good conversation! Paper and pencils so I can write! Money and recognition. Money's essential, since it takes a year or more to write a novel, and if I'm going to invest all that time, I need to be compensated financially. But after investing all that time into writing a book, recognition for a job well done is also important! I love the process of creating whole worlds from nothing but the ideas in my head. Being able to craft my characters and stories in such a way that readers are incensed at the death of a character they've come to care about is heady stuff! Freezing Point was nominated by RT Book Reviews for "Best First Mystery." Freezing Point has also been published in Germany and the Czech Republic.